Ok thx for the quick reply! It works now. Is it possible to edit more than one merc's starting gear at the same time? For example, if I want to to give every merc identical helmets and vests, I can do that via the XML editor by editing one merc after another, but this is rather tedious. I'm thinking about editing one merc, then opening MercStartingGear.xml to copy/paste the corresponding entries to the other mercs, but before I do that I would like to make sure there is no easier way that I may have missed. - In the "Find" field, enter "([^<]*)"
- In the "Replace" field, enter "803"
Sorry to be a pain, but this seems like the best place to ask this. For some reason, my XML editor has started giving me a fatal error whenever I try to run it. I haven't edited anything yet, so I'm fairly certain it's nothing I've done, to my knowledge at least. This is the error it gives me while loading. I've located two files with that name, but where can I locate the parent table? At least then I can root around in it and perhaps locate and rectify the error. Try deleting the XSD-file (the editor should make a new one when started again). If that does not help, delete backend.dll and get it again from the SVN-Server. The parent table is the file that refers to the two indices the error message shows (24 and 25). Most probable it is pockets.xml, which refers to silhouette.xml (24 and 25 are the indices of the medical cross silhouettes). Silhouette.xml is a file that is not needed by the game, only by the XML-Editor (to give names to the silhouettes). Sorted it right out, thanks mate. Sorry for the long wait for the thank you, but it's an appreciative one I can assure you. for various reasons i've been changing values for weapons and other items. for example making rod&spring available at BR for MP. changes also include additional weapons (for example AI AW50) and attachments (for example http://www.atncorp.com/nightvision-riflescope-atnmars6x-4). AI AW50 requires a 5 round .50BMG mag, which is already included, but unused. i noticed that when i extend bobby ray's assortment, original items are placed where they are supposed to be, in alphabetical order, while newly created items are placed at the beginning of the list. what is the reason for that, and can i circumvent it? start a new game instead of loading a savegame.. If I remember correctly, the items in BR are loaded (cached) and sorted at the beginning of the game, so any new items are added to the end of the list. Try starting a new game, with awesome BR settings, and see if it's fixed then. savegame is neccessary because i just have to wait few hours at 60min timecompression to see if everything works. New game with BR at awesome, cheat, teleport to drassen, check BR. Less than 5 mins from new game to check. Rugged binoculars for the serious hunter or soldier. Multi-coated lenses, nitrogen-filled, and rubber-armored. Usable under bad light conditions. Trying to change an item from 2 handed to one handed. from the items.xml, the game errors on load. It basically says its unable to load the items.xml file. What am i doing wrong? (this is a items.xml for AIMNAS, but xml is xml, so not sure what i'm doing wrong). Does word pad do something weird to the file on save? Should i use notepad to edit it instead? and do not remove the whole line. just set the value from 1 to 0. Thanks guys, notepad did the trick. I was lazy and avoiding notepad because smeagol's AIMNAS item.xml is massive and notepad doesn't display it with the indents/tabs so it's harder to read. that is a must have replacement of the weak notepad. I was editing the enemy weapon table for a Warsaw Pact progression (for a "ilve off the land" campaign I was thinking about starting). What I did right: tried to make a backup of the original XML for enemy weapons, for restoring later. What I might have done wrong: backed up the wrong XML file. Is it the one under "Data" or "Data-1.13"? I backed up the one under Data, and while looking through the file folder later (after using the XML editor, of course) it occurred to me that it was probably the wrong one. If I backed up the wrong one, is there a fast way to get the original back without a complete reinstall? Yupp, it was the wrong one, on default, the game and the editor use Data-1.13. Get a new one from the SVN-Repo. Well, I can worry about it somewhat later. I'm actually really liking the weapon progression I designed. There's just enough commie weapons that drop 9mm, 5.56NATO, and 7.62NATO to trickle the occasional drop for your starter weapons, but a growing team will still need to work with all the various AK variants. I need to filter, for example, only pistols in the guns list. I tried every possible column name - Type, WeaponType, ubWeaponType, it still tells me the column name is wrong! Also, is there a way to make a sort by more than one column? like damage then ap ready time? Note that the Editor may show different data than what is actually in the xml, it'll use a lookup table to show class, type or caliber as names while it actually stores the indexes. Use this and this to find out the numerical value. Column names are identical to their XML tags and can be seen as a tooltip when hovering the mouse over the column header. Furthermore, all but items.xml tags must be prefixed by the table they appear in. Hey guys I am having a problem. I am playing JA2 1.13 rev4945 w/AIMNAS 21, with the new items of AIMNAS v26. The problem I am running it in the .xml editor only is when I am browsing the items tab-show-by class and lets say armour for this example and I go to the new entries let's say ID 1123 the Guardian vest urban and I right click it to view details I get an unhandled exception error that says value 417 is not a valid value, a value should be between the min and max setting. 417 refers to the corresponding graphic sti in Big Items. The xml editor does this for any new items I added from v26. I can use the items fine ingame and I can edit them fine in the item.xml with notepad++. My question is how do I get the .xml editor to acknowledge the new items graphics. Like if I want to change an items current graphic I go to show details, then general tab and under type I select the proper catergories, but the current indexs stop at AIMNAS v21 values. For example in p2items I can't go above index 409 even tho it goes well beyond 417 thanks to the new items. System.ArgumentOutOfRangeException: Value of '417' is not valid for 'Value'. 'Value' should be between 'Minimum' and 'Maximum'. I am not sure I can find where this error comes from, so I'd appreciate it if you upload the modified files somewhere, so I can take a look. Will need the items.xml (and any other modified xmls), as well as the modified sti files. Unless of course the error is due to the fact that you've skipped a few number in the graphic files, so for example from graphic 300 you go to graphic 417, skipping all the numbers in between. If this is the case, you'll have to reorder your graphic files (or add empty ones in the middle), and I'll see what I can do to fix it. @JMich yeah during my troubleshooting that was one of my ideas as well but all of the sti files are 100% sequential. I'm about to get some sleep (doctors appt. in 7 hours) but when I get home i'll work on getting you all the necessary files. I pretty much overwrote nearly everything in AIMNAS v21 with AIMNAS v26 except stuff relating to the interface and maps, because i want to play on the fullmap of arulco. Current AIMNAS v26 is limited to 20 or so zones. So anyways that's my reasoning for porting over the new .xmls and .stis. I had transferred the binarydata too but that was causing a weird crash when i started the game, so i reverted back to v21's binarydata. How does the "combo" system for combat packs and backpacks work? The TIMS set are on 1, and everything else is set to 0. I assumed that meant the TIMS gear were "combo 1" and would work with one another. So I experimented by making "2" and "3" combo sets out of the other existing backpacks and combat packs, to see if it would work. Problem now, is that there seems to be unintended cross-compatibility between combo sets, but not across the board. I can use backpack 1 with combat packs 1 and 3, but not with combat pack 2, etc. Backpacks 2 and 3 seem to work with everything. Anyways, what am I missing? Hello Foxd1e! I use same hybrid except that i combine v21 with v25 for HAM features, and i had same problem. Suggestion is copy files with the beginning "md" from "interface" folder, and files with the beginning "sm" from "tilesets/0" folder in AIMNAS v 26, to your hybrid same folders. Quick question, how do I delete choices for a launcher? I'm editing my XML files so that the RPG-16 fires its own 58mm rocket ammunition instead of sharing ammo with the RPG-7. I've made the new items and all, but now I'm stuck on trying to render the RPG-16 incapable of firing the OG-7, PG-7VM, and TBG-7V rockets. I was trying to prevent the death animation where the body goes flying by changing to 0 for all weapons. I find it unrealistic, plus I don't want silently killed bodies moved around. I found the value in Weapons.xml (Flugente helped me out in another thread). Why is this value not accessible in the XML Editor GUI? I am using version 0.60 of the editor that comes with r4870 and I looked all over! I'm using notepad now to make the necessary changes. You will probably need to download a later version of the XML editor. SVN 5224's the editor is up to .87 if I recall correctly. Look harder... It's in there and has been for years. It's in one of the subtabs of the Weapon tab on the item detail form. You can also unhide it in the grid and edit the values faster that way. 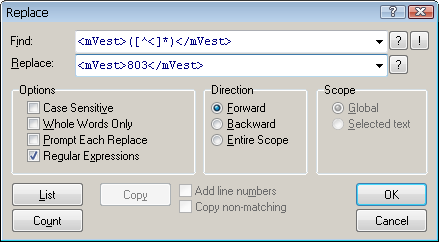 Or grab the latest SCI and use the Apply Value to Column option in the grid context menu to do it in 2 seconds. question: I notice that a lot of integrated attachments has been added by just copying the stats from the attachment to the gun itself. This makes it really time consuming to edit. Is it not possible to just add a tag that the gun has a bipod/folding stock so if the stats of the attachment is altered all guns would be affected automatically? How would one do this? I tried adding the defaultAttachment tag but no effect. Reason I ask is that I do a lot of weapon/attachment tweaks atm. Easiest way would be to copy the attachment, make it inseparable and add that copy as default attachment. That's how the big mods do it. Ok thanks, so the attachment has to have the inseparable tag to be used as a default attachment? I see a few weapons that uses defaultAttachment in Items.xml that isn't inseparable though. No, but you were asking about integral attachments. If you want something like the G36 optics to stay on the rifle no matter what, you have to make them inseparable. No. Inseparable and default attachment are not connected. Default just meand that the according attachment comes with gun every time one entity is created in game (e.g. if you buy the weapon, it comes with default attachment attached). After having changed e.g. the bipod, make a copy of bipod (lets call the copy "integral bipod") and tag this copy as "inseparable". Then add the "integral bipod" as default attachment to a gun. Now every entity of this gun comes with "integral bipod" attached to it and this attachment cannot be removed from this gun in game. If you need further changes, just change stats of "integral bipod" item and you are done for every single gun that uses this as default attachment. If yes, how can I add underground sectors to these files? I'm using official rel. 4870.